University of California, Western Washington University and Williams College took the No. 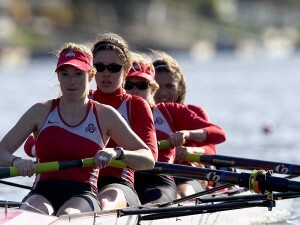 1 spots in the final regular season USRowing/Collegiate Rowing Coaches Association polls presented by Pocock Racing Shells. California received 24 of 25 first-place votes to remain on top of the Division I rankings. Michigan, who received the remaining first-place vote, and Virginia tied for second. Ohio State and Washington rounded out the top five. In Division II, Western Washington regained the top spot in the rankings, earning three of five first-place votes. Humboldt State ranked second, with Nova Southeastern third. Both schools received one first-place vote. Mercyhurst and Central Oklahoma rounded out the top five. Williams remained the unanimous choice for the top spot in the Division III poll. Williams received all 10 first-place votes. Bates ranked second, followed by William Smith, Wellesley and Trinity.